The Josephs grew up in Haiti. As teenagers, they immigrated to the United States. In 2010, they had no plans to return. But then the earthquake hit. The Haitian people needed help, and the Church was ill-equipped to provide it. Most of its pastors had little to no theological training. Their false doctrines led people astray. In 2015, the Josephs moved back to Haiti. They partnered with CRI to begin the Hesed & Truth Project. Their vision is to show hesed (the loyal love of Christ) and provide biblical training to those in need. In the village of Olivier, our Bible club and tutoring program serves children in extreme need. We hold tutoring sessions for those that struggle in school. We help them with their homework, share Bible stories, and provide them with nutritious meals. Through games, crafts, and songs, they learn that Jesus loves them. For $25 a month, you can help keep the doors of Hesed Children’s Club open. Our Green Door program builds homes for families, widows, and orphans in great need. These cement-block structures are constructed to last a life-time—with cement blocks, wood trusses, tin roofs, screened windows, and lockable doors. You can sponsor a Green Door home! Sponsorship options begin at a one-time donation of $500. In Haiti, the cost to build an entire home is $6,500. At the Center for Theological Education in Miragoâne (CETHEM), we train rural pastors and church leaders to impact their communities for Christ. Graduates of our Bible college receive a Certificate in Ministry. CETHEM has held classes once a week in a building provided by a church. This has served as a short-term solution, but the student body has outgrown the space. With a new building, CETHEM can train more students. By 2020, we hope to have classrooms, a chapel, and a guard house. You can help us! In Phase 1, we need $200,000 to construct our first set of classrooms. 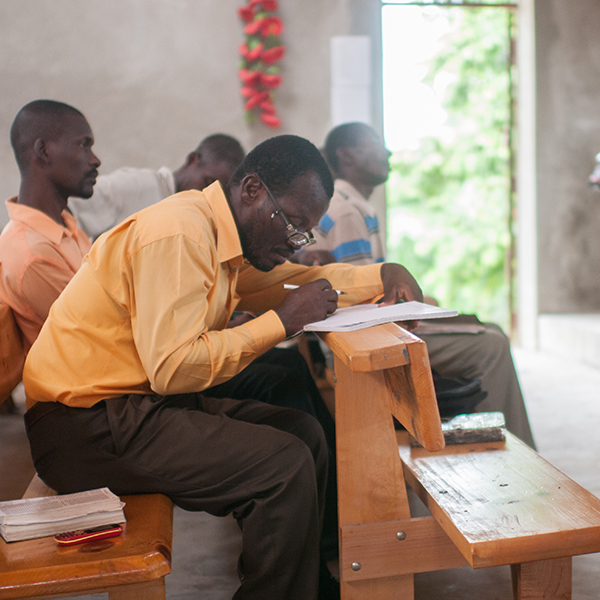 Our scholarship program helps men and women who cannot afford a biblical education. Sponsorships cover CETHEM tuition, food, transportation, school supplies, and help pay our faculty’s salaries. Aspiring men and women receive the training they need to work in ministry. For $40 a month, you can help keep our Bible Training Scholarships program active. Hesed Children’s Club Yes! You will receive two updates a year about the children of Hesed Children’s Club. Additional updates will come from the Josephs. Bible Training Scholarships: Yes! You will receive four updates a year about the students in our Bible Training Scholarship program worldwide.